NICSS is the National Interpreting and Communication Services. NICSS provides sign language interpreting services to professional and government service providers and people who use sign language to communicate. We are an Australian Wide service. *Aboriginal and Torres Strait Islander Sign Language users. 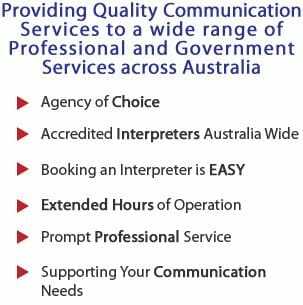 All interpreting services for public and private health care appointments are FREE. NDIS - are you or your client eligible? The National Disability Insurance Scheme (NDIS) provides support to people with a disability in Australia. NICSS is a registered service provider with the NDIS. If you are Deaf, under 65 and living where NDIS is available, you may be eligible for a NDIS Plan. People with an NDIS Plan may have interpreting services included in their Plan. Visit our NDIS page for further information.